Lincoln's work frequently appeared in popular magazines such as the Saturday Evening Post and The Delineator.... Lincoln claimed that he was satisfied "spinning yarns" that made readers feel good about themselves and their neighbors. Two of his stories have been adapted to film. 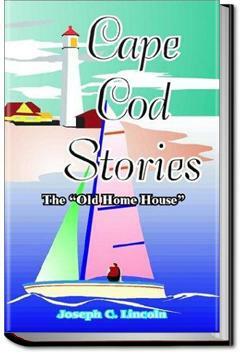 Lincoln's literary career celebrating "old Cape Cod" can partly be seen as an attempt to return to an Eden from which he had been driven by family tragedy. His literary portrayal of Cape Cod can also be understood as a pre-modern haven occupied by individuals of old Yankee stock which was offered to readers as an antidote to an America that was undergoing rapid modernization, urbanization, immigration, and industrialization. . . .So out comes Peter with the letter. "Barzilla," he says to me, "I want some characters. Know anybody that's a character?" "Well," says I, "there's Nate Slocum over to Orham. He'd steal anything that wa'n't spiked down. He's about the toughest character I can think of, offhand, this way." "Oh, thunder!" says Brown. "I don't want a crook; that wouldn't be any novelty to THIS crowd," he says. "What I'm after is an odd stick; a feller with pigeons in his loft. Not a lunatic, but jest a queer genius—little queerer than you and the Cap'n here." Another laugh-out-loud book. The New England setting, the New England humor, and the New Englanders-vs-city slickers scenes are great.